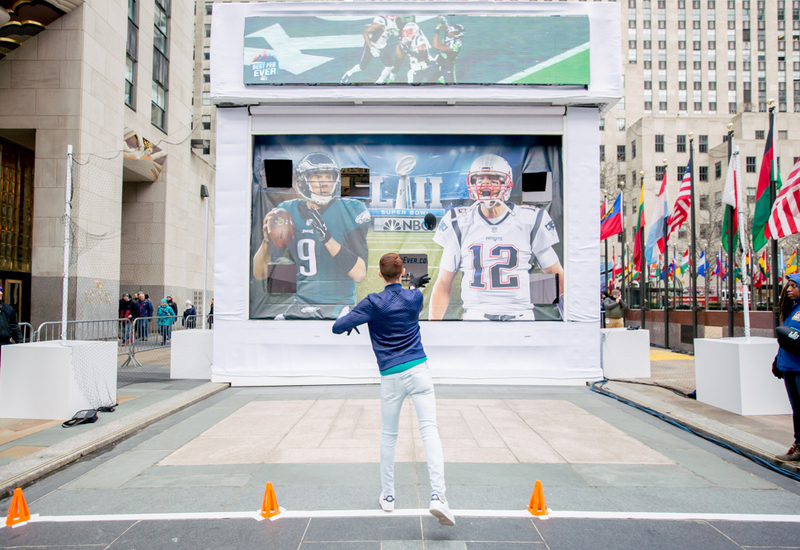 From Feb. 1-3, the activation, a minimally branded mystery box, popped up in high-traffic locations in New York City, Los Angeles, Minneapolis (during the Super Bowl) and Philadelphia. In Manhattan, the massive box measured 20-feet by 20-feet by 20-feet, while the others were about the size of a train boxcar. 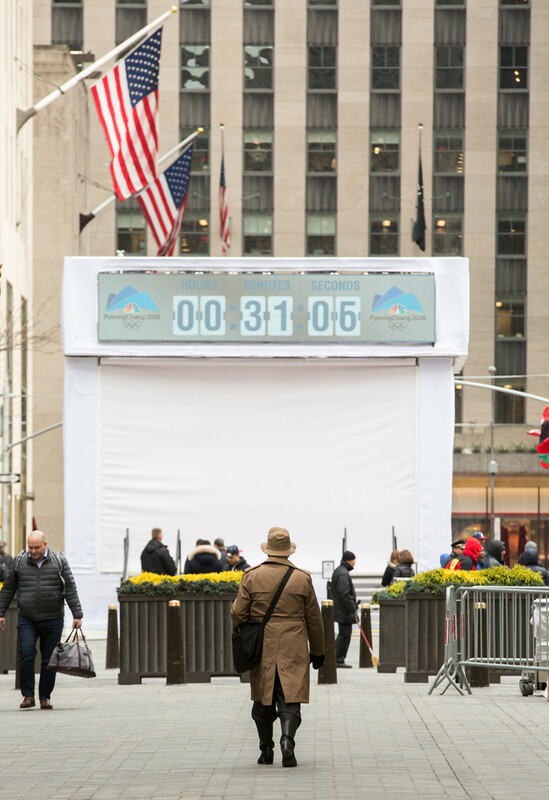 The sheer size of the containers, along with the countdown clock featured on each of them, helped initially pique consumers’ interest. 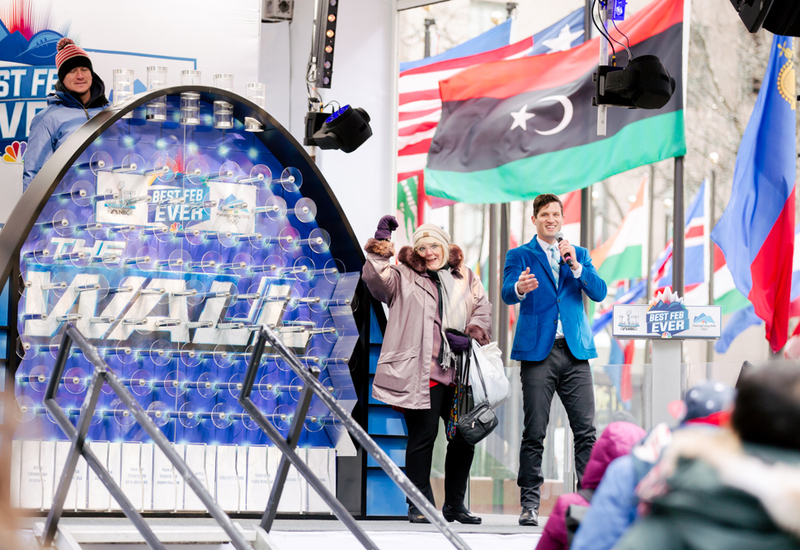 Ultimately, thanks to additional promotions on NBC’s sister networks and social channels, the campaign built enough buzz to draw a large crowd at each box unveiling, with consumers eager to discover what was waiting inside. And what was waiting inside didn’t disappoint. 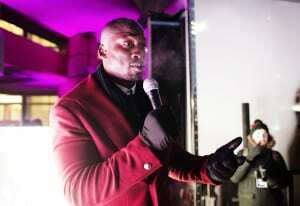 When the countdown clock finally expired, each box opened to reveal a special guest who either performed an impromptu concert or hosted a variety of fan engagements. 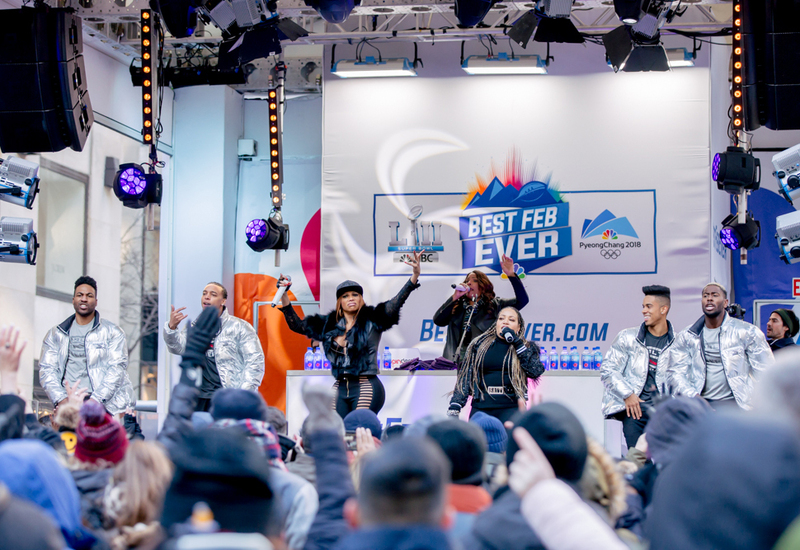 From performances by singer Andy Grammer in New York and the B-52’s in L.A., to trivia with Olympic athletes to killer prizes, there was a little something for everyone. The coolest part? 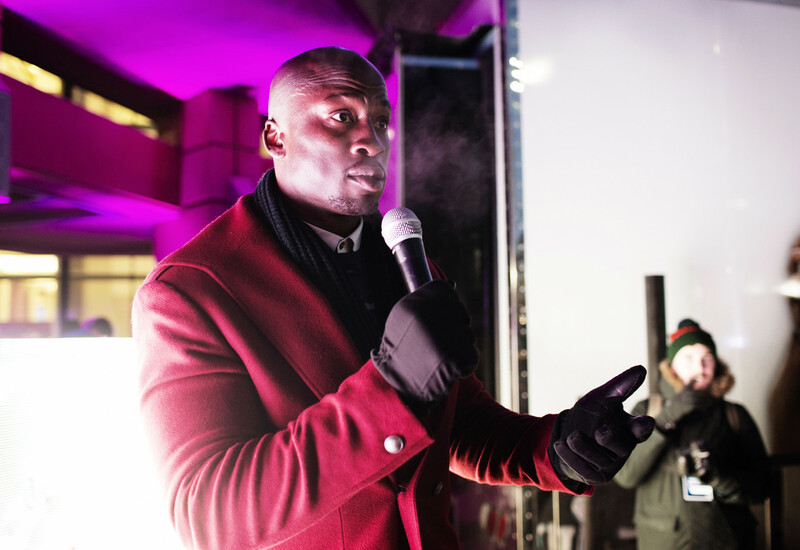 The experiences were self-contained, meaning each box opened up to become the entire activation footprint. 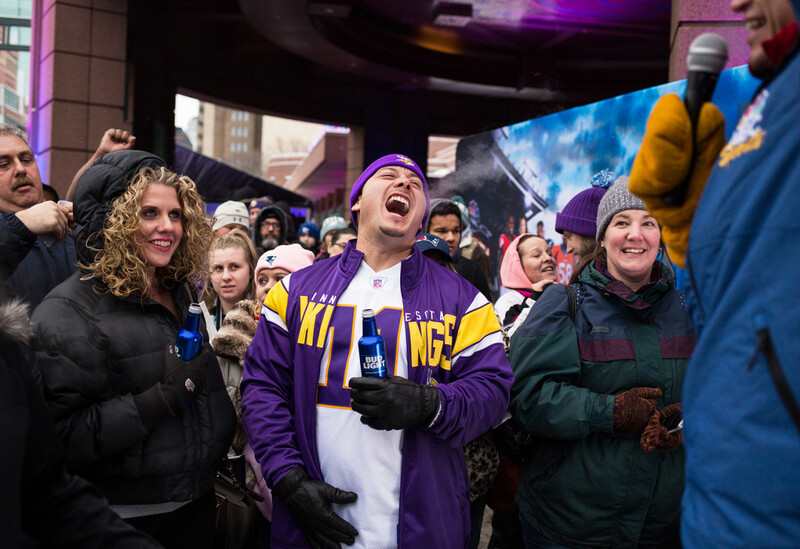 The exception was Minneapolis, where NBC leveraged its Sunday Night Football space. Aside from the live performances, the engagements were designed to tie back to Super Bowl or the Olympics. 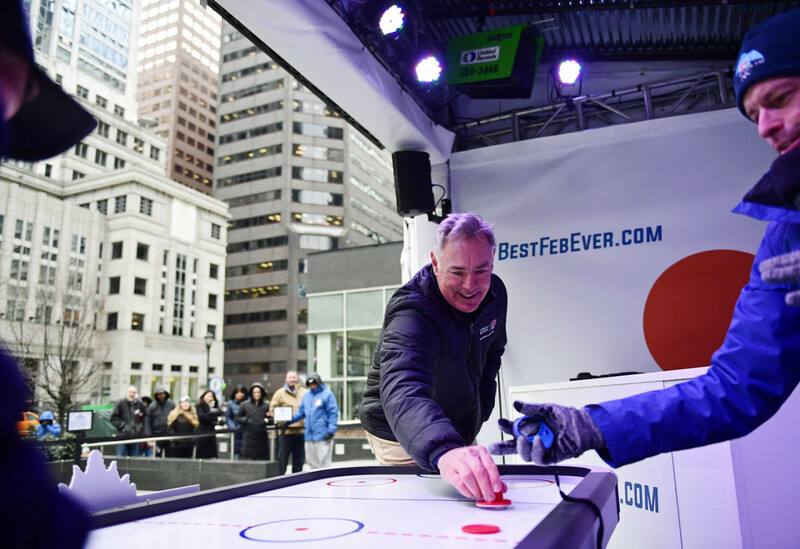 Fans could play air hockey with “Miracle on Ice” legend Jim Craig, play Olympics trivia with Olympic figure skaters Sasha Cohen and Ashley Wagner, snag Super Bowl tickets during a giveaway led by the Minnesota Vikings’ Stefon Diggs and former player Daunte Culpepper, and participate in sports-themed activities like football tosses. 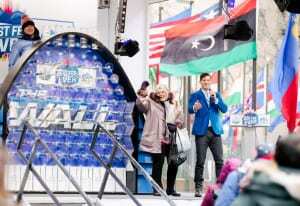 NBC also activated a live, mini version of its hit game show, “The Wall,” in which fans answered trivia questions. For each question they got right, they could toss a ball up into The Wall and receive a prize based on where it landed. 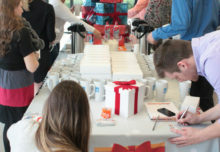 Top prizes included tickets to NBC shows, Super Bowl and Olympics swag, electronics and gift cards. 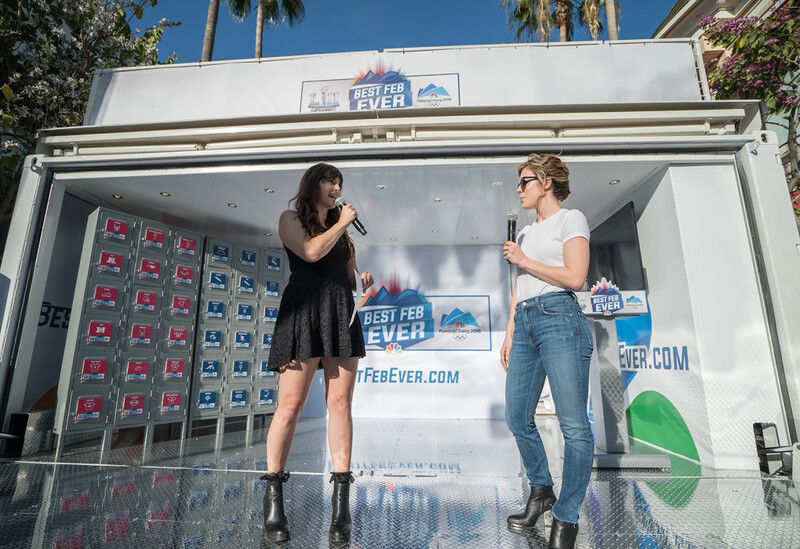 Consumers who were unable to attend a box unveiling could still participate in the program by visiting BestFebEver.com, where the countdown was live-streamed each day. 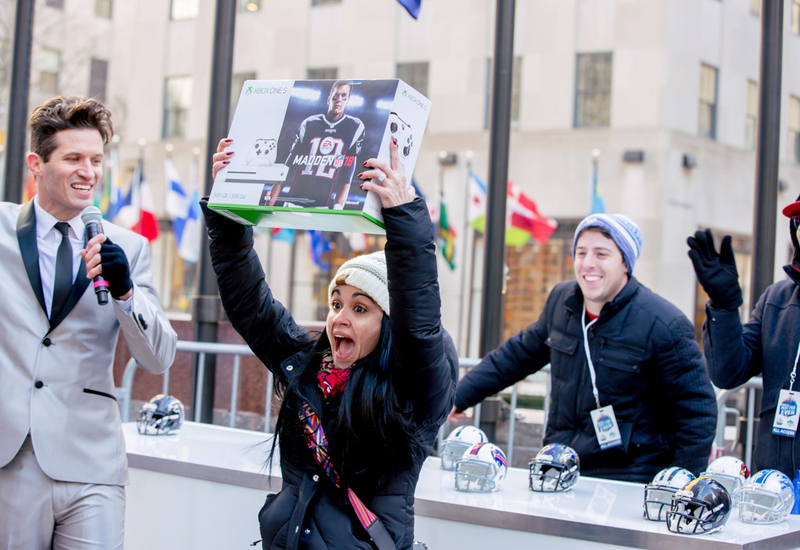 Every time the box opened, it offered an opportunity for digital fans to win a prize. 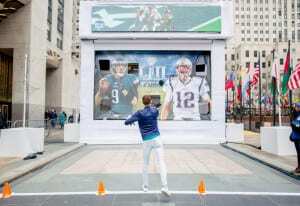 “We as an organization are so excited about [February], but we wanted people to actually join us in celebrating the month,” says Regina O’Brien, svp-marketing for the Golf Channel, a subsidiary of NBC Sports Group. 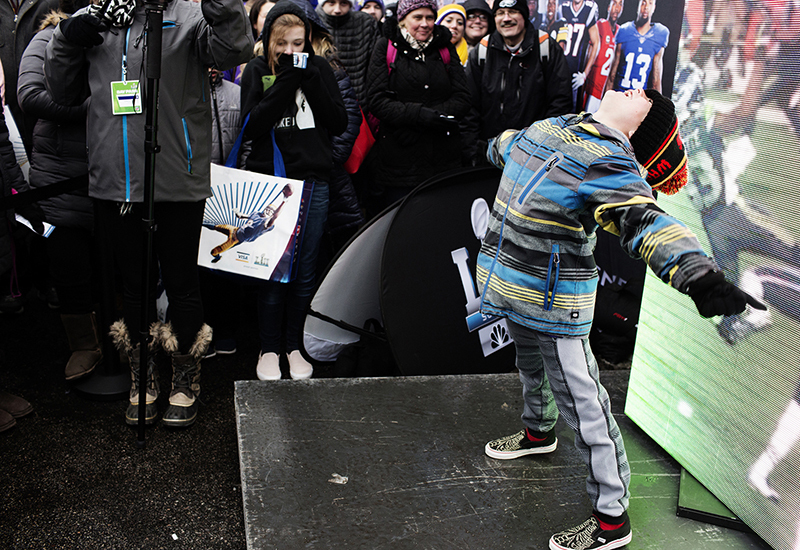 “It definitely got the fan reaction we were looking for, which was for them to engage with us as a brand, to engage with the brand of the Super Bowl and the Olympics, and help them anticipate it the way we at NBC Sports were.” Agency: CLAMOR, Minneapolis.